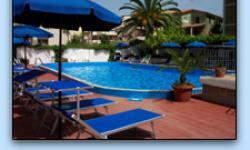 The Hotel Riviera is situated 50 m from the sandy "Lido" beach and 800 m from the historic old town and picturesque harbour of Alghero in Sardinia in Italy. The Hotel Riviera, a 3 star Hotel, 50 m from beach in Alghero in Sardinia offers 55 rooms with bath, shower, wc, telephone a wall safe. 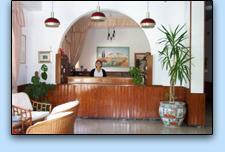 The Hotel also has a Lift and on site restaurant with international cooking and Sardinian Cuisine. 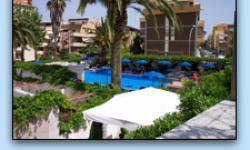 The Bar and outdoor Patio offer extra entertainment to guests visiting the Hotel Riviera in Alghero in Sardinia. 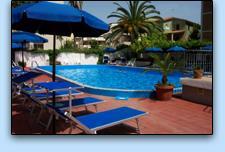 Well equipped swimming pool for adults and children contributes to the services at Hotel Riviera in Alghero in Sardinia, Italy. 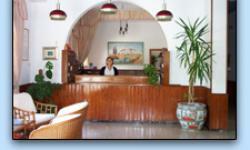 English, French, Dutch fluently spoken by Hotel staff.